We know how to party in Cincinnati! No matter the occasion, Cincinnati residents know how to get the right group of people together with great food and some good music to create a celebratory atmosphere. Party Bus Cincinnati is there to add even more life to your celebrations with a party on wheels! Baby Showers: While most people don’t immediately think of party buses and baby showers going together, we’ll tell you that some of our favorite occasions have been with a party bus full of generations of mamas! For office showers, we’ll get everyone from the office to the party locale at once. Other baby showers involve trekking out to the countryside, and we’ll make sure no one gets lost by loading all your guests up into a music-filled Cincinnati party bus full of dancing lights and comfortable seating. Birthday Parties: If you’ve never celebrated your birthday aboard a Cincinnati party bus, you’ll have to schedule one for your very next one! 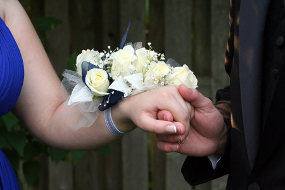 Your personal chauffeur will take you and your party from one hot spot to another throughout Cincinnati. Planning a birthday celebration at one of Ohio’s fine wineries? Cincinnati Party Bus will make sure that everyone in your party gets a chance to enjoy that wine – we’ll be your designated driver on the way home. Office Parties: Office parties are so fun because we see some unexpectedly wild partying among co-workers! For your next office party, take things off-site and we’ll provide the wheels to get you there. 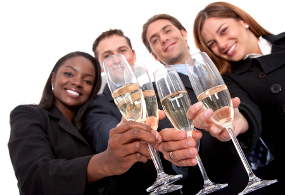 As the boss, make sure that your employees can party safely while having the time of their lives. 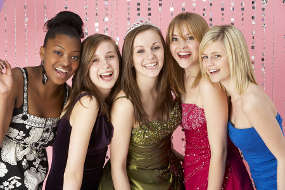 Hire a Party Bus Cincinnati and surprise your employees with a good time. 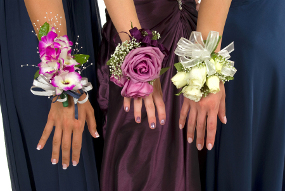 Prom: The prom is one of the biggest nights of high school life, so you and your friends need to enjoy it in a big way. Get the party started early by taking photos in front of your Party Bus Cincinnati, then get on board and let the dancing begin! Cincinnati Party Bus will be there at the end of the evening to take you to the after parties or cruising around Cincinnati. Everyone will be talking about your sweet ride!